Just like your heart, your cat’s heart is responsible for pumping blood to different parts of the body, helping organs and muscles function properly and stay healthy. It needs to be in good condition to do its job effectively! That’s why it is important for you to understand your cat’s heart health. Taking your cat to the veterinarian for regular checkups is the first step. During your cat’s examination, the veterinarian will look for signs of heart disease. This can be a challenge as many cats that have heart disease may not show any signs or symptoms. In fact, cats can have heart disease for years before you notice something is wrong. So here’s what you need to know. Sometimes, however, your veterinarian is the only one who can spot the more subtle signs of heart disease, such as murmurs, audible sounds between heartbeats, or irregular rhythms. Treatment for heart disease will vary based on the needs of each individual cat. With the right treatment and early detection, your cat can live a healthy, happy life for years to come. Your veterinarian will develop a plan that is right for you and your pet. What Can I Do to Keep My Cat healthy? Take note of changes in your cat as he/she ages. 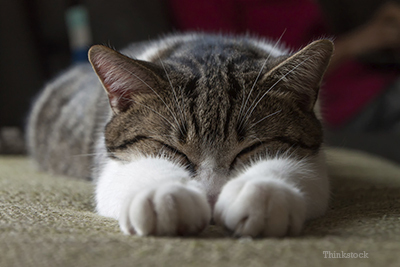 Watch for changes in your cat’s appetite and energy level. Keep your cat at a normal healthy body weight. Know your pet’s breed or mix of breeds and understand his/her risk of heart disease. Take your cat in for yearly checkups! This is one of the most important ways you can care for your cat—heart disease is just one of many conditions that, if caught early, can be managed effectively. If you’re worried your cat may be developing heart disease, your best bet is to have a conversation with your veterinarian. He or she is the best resource when it comes to your pet’s health.